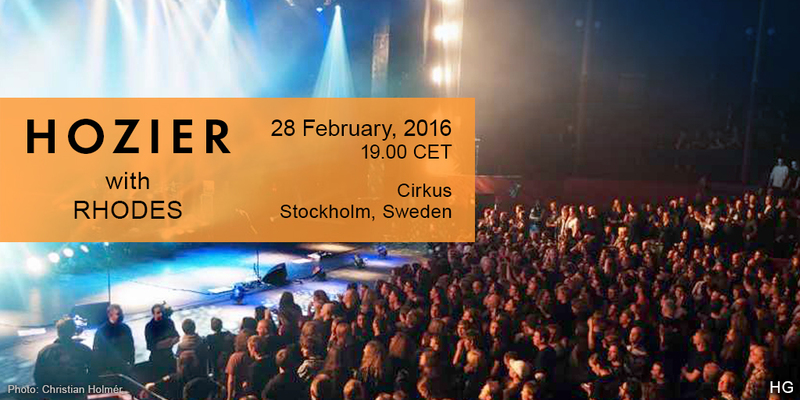 Hozier played the Cirkus in Stockholm, Sweden on Sunday, 28 February, 2016. Rhodes opened. Capacity 1650. With three gigs to go, drummer Rory Doyle remembered that he had an Instagram account and decided to make up for lost time. And the band conquered the ABBA museum. Rory, Alana and Lorraine got their groove on at the ABBA Museum. Andrew Hozier-Byrne ett irländskt geni som inte bara är KUNGEN av musik. Även grundare av #faceuptodomesticviolence ! Jag tror min barndomskärlek @darinofficial har blivit utbytt. B Ä S T .
Tagged Cirkus, Rhodes, Stockholm, Sweden. Bookmark the permalink.